Skeeterbag™ combined with a standard 20″ box fan, requires no chemicals or artificial bait and works better than the leading mosquito traps. 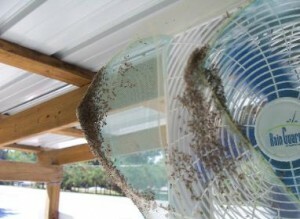 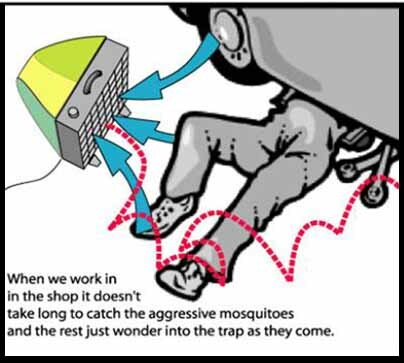 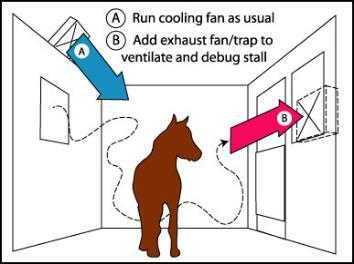 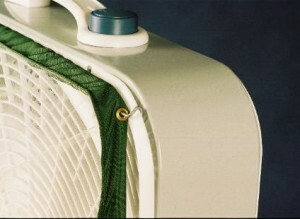 The Skeeterbag™ is attached onto the front of a 20″ box fan and when the Skeeterbag and fan are placed in an area where mosquitoes are attracted, usually where people (near a window, door, or security light) or outdoor pets and livestock are the mosquitoes are sucked into the bag where they are trapped and die. 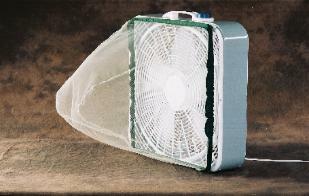 The bag can be emptied about once a week or more as needed and reused.